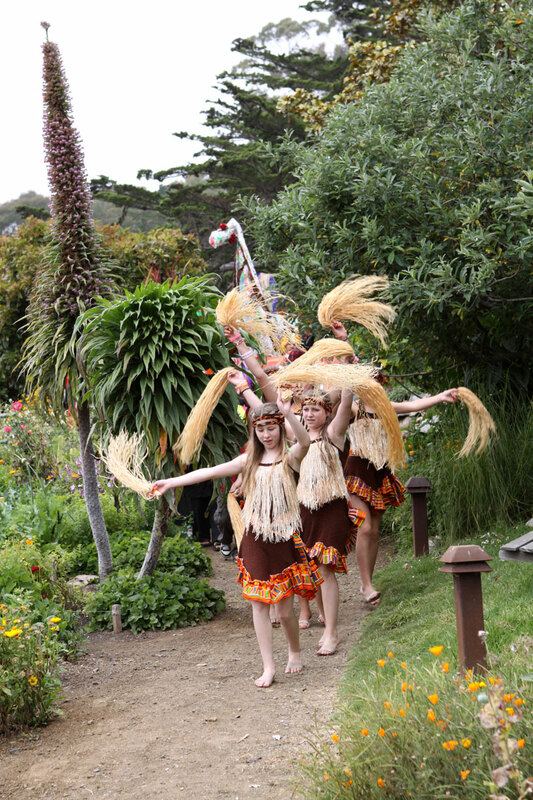 DiFranco DanceProject dancers and our families were honored and privileged to be a part of the truly magical event, the Esalen International Arts Festival 2010. 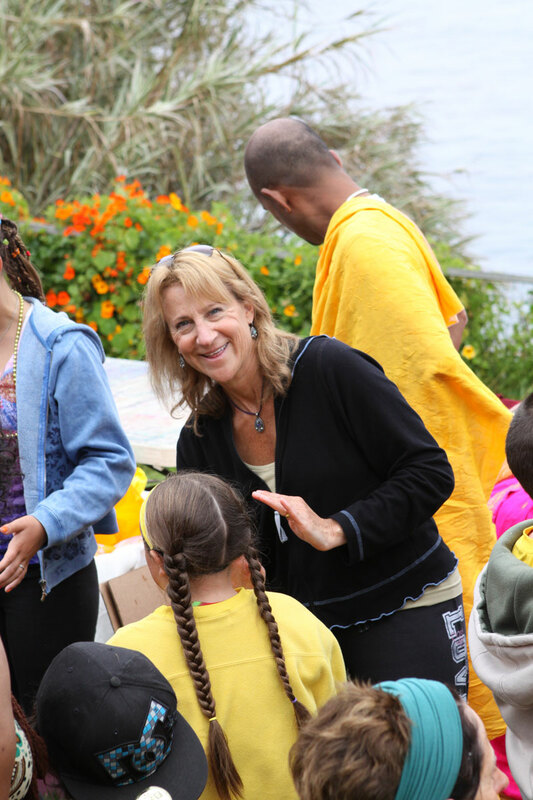 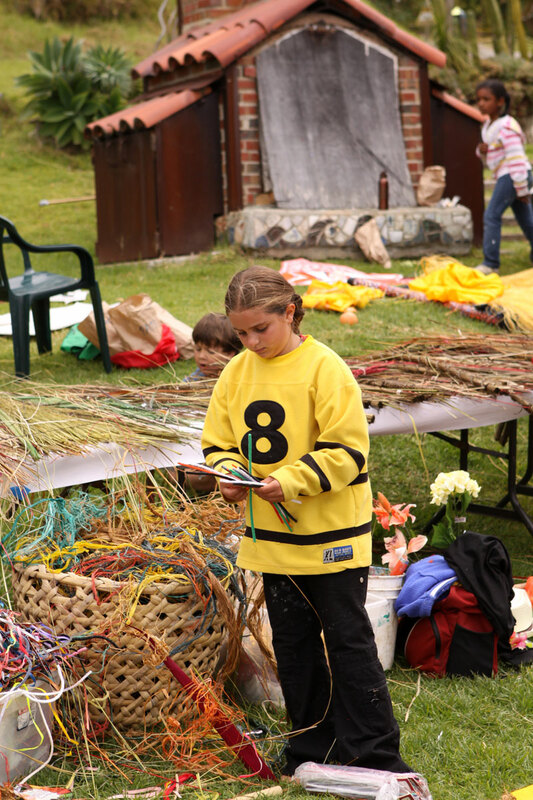 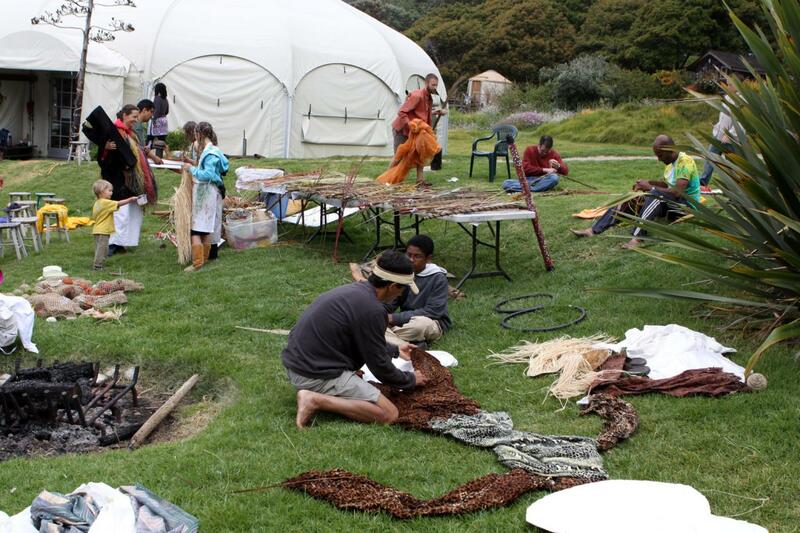 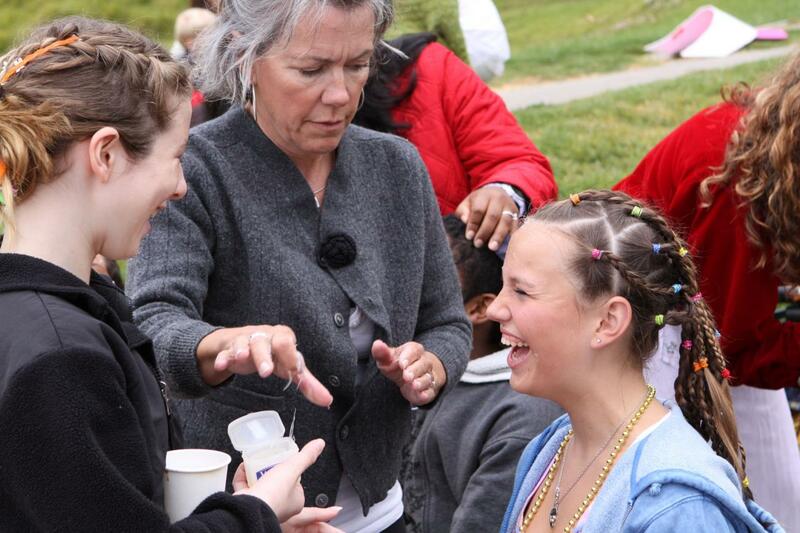 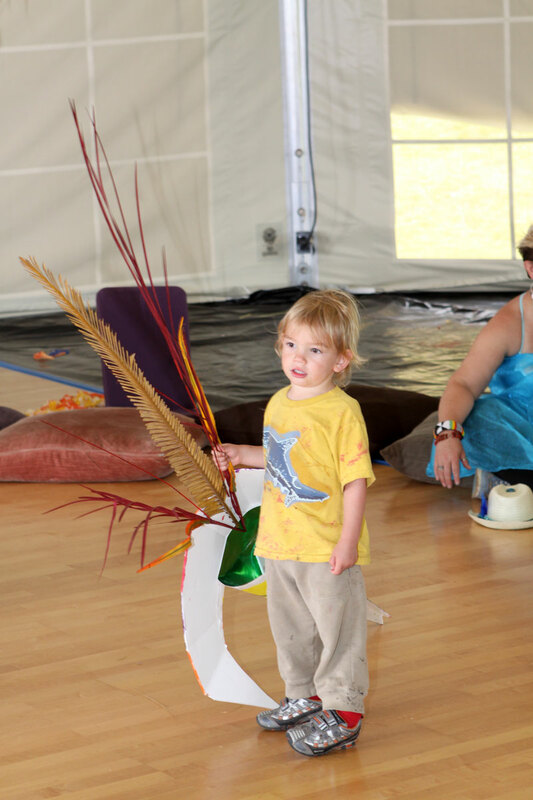 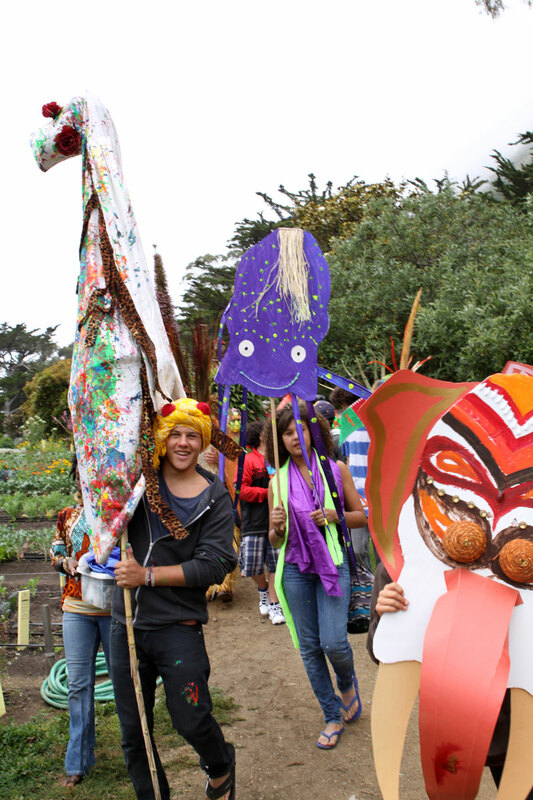 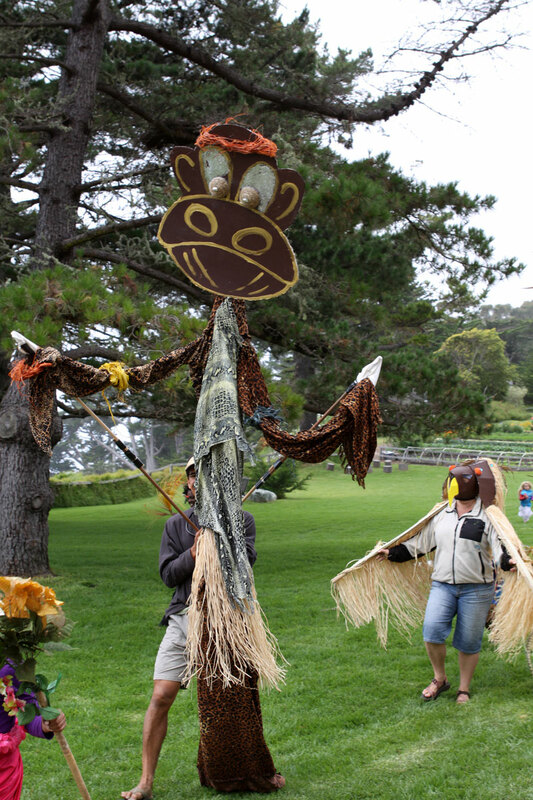 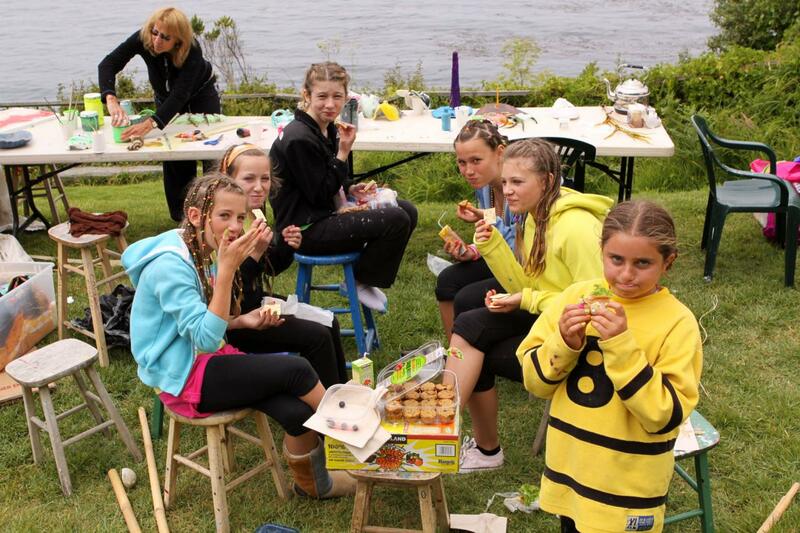 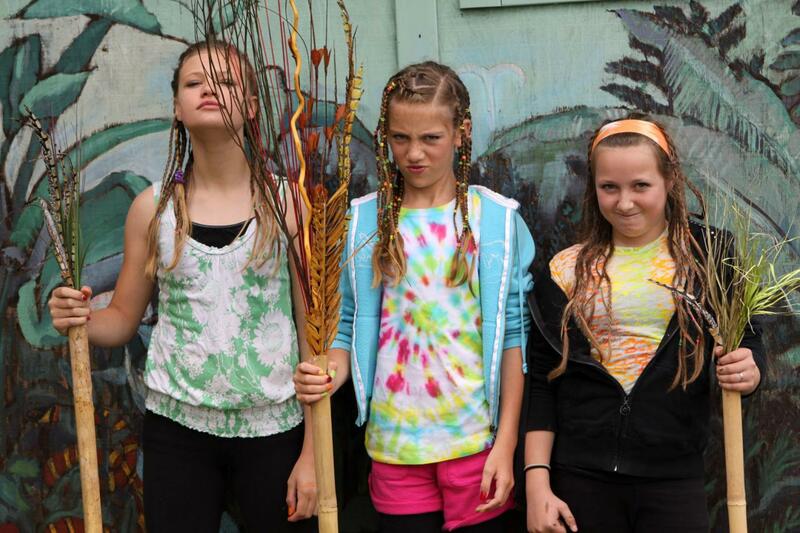 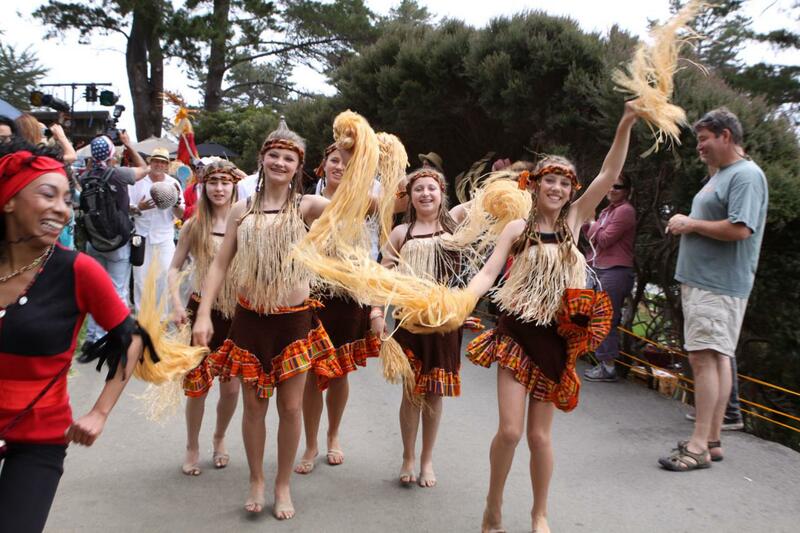 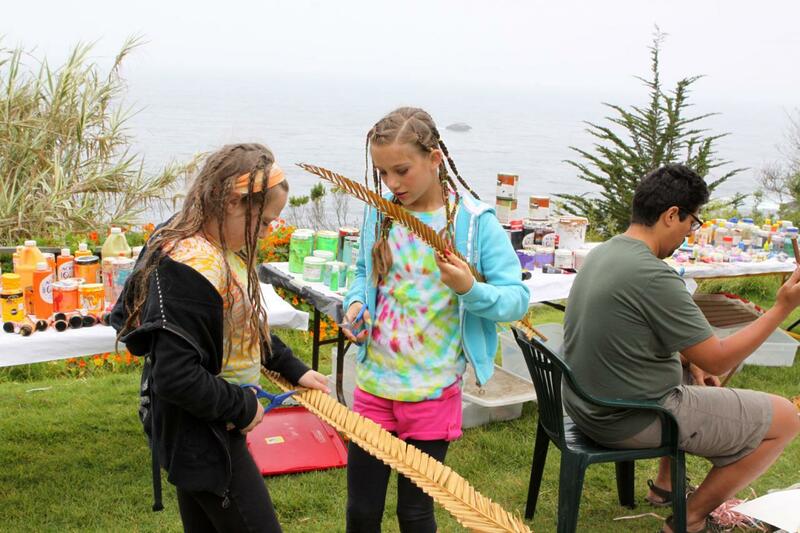 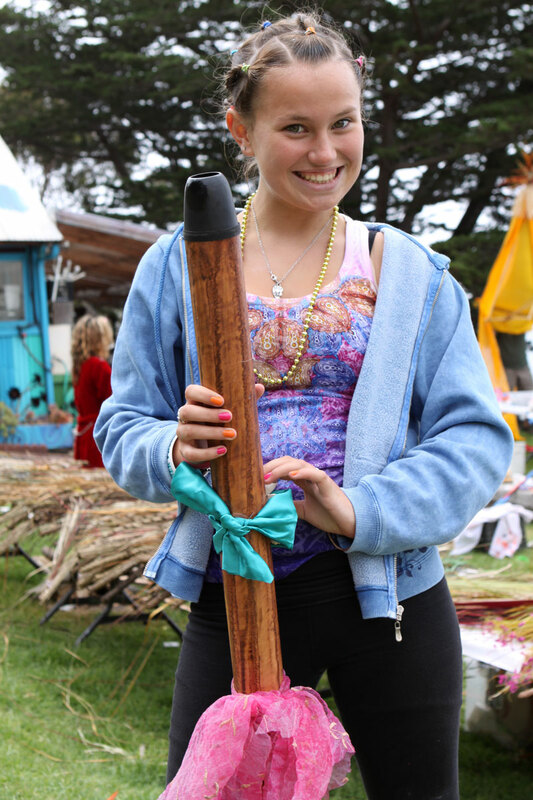 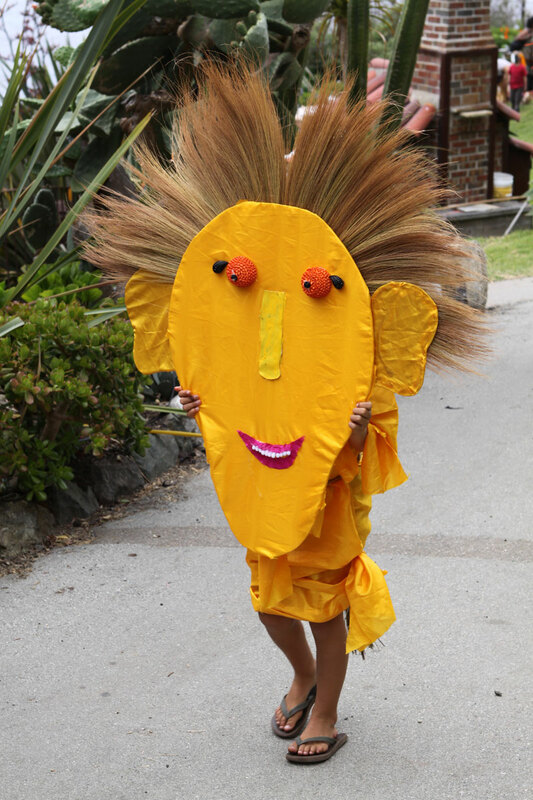 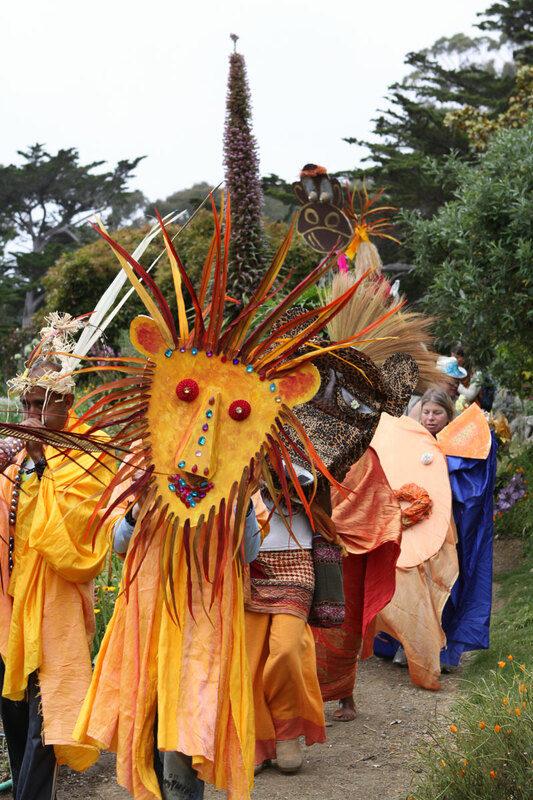 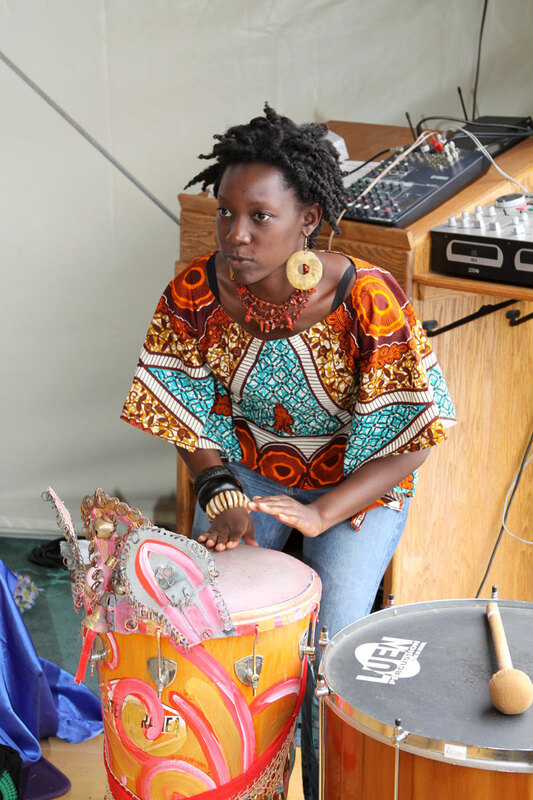 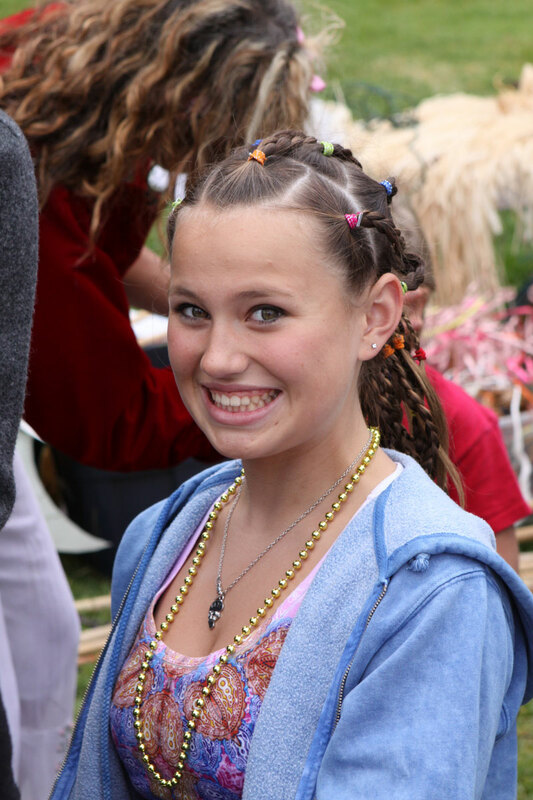 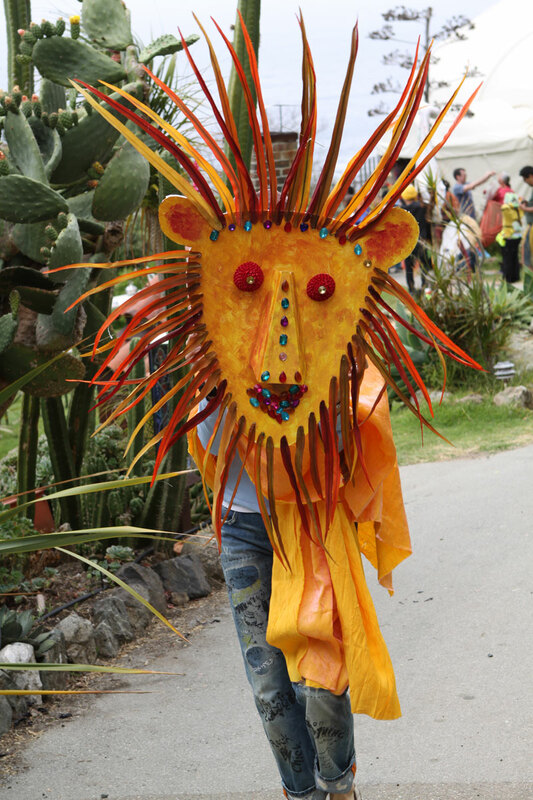 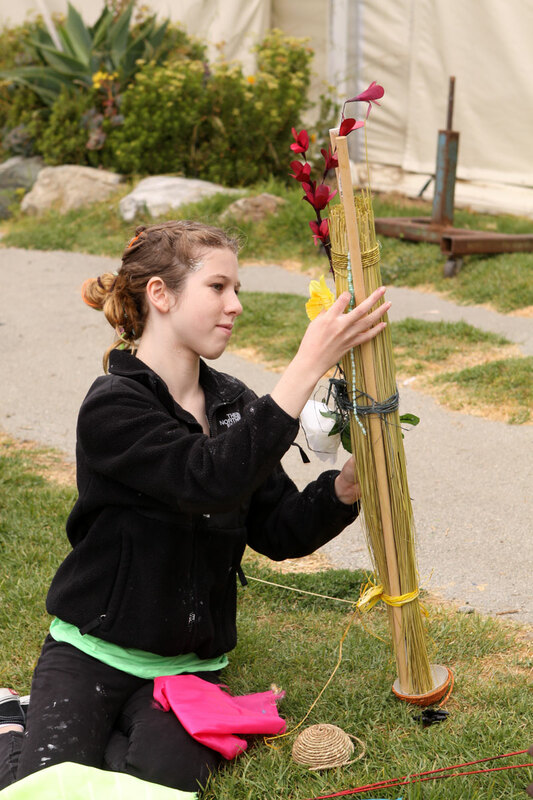 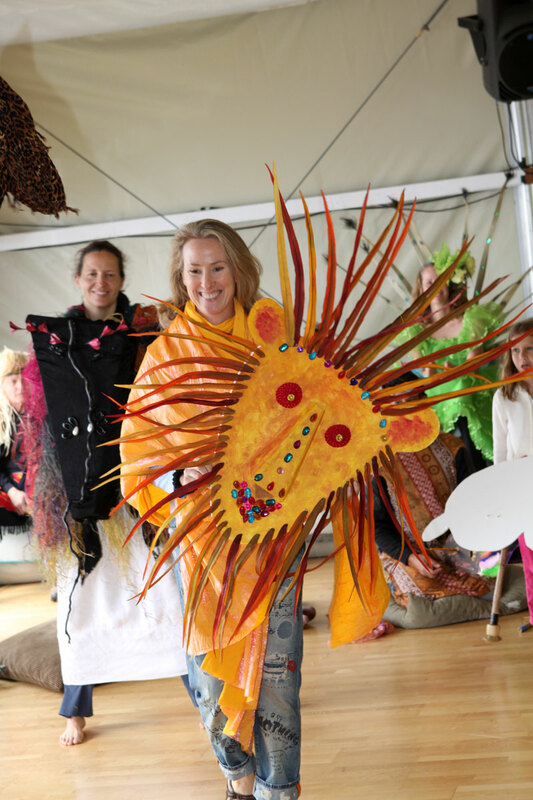 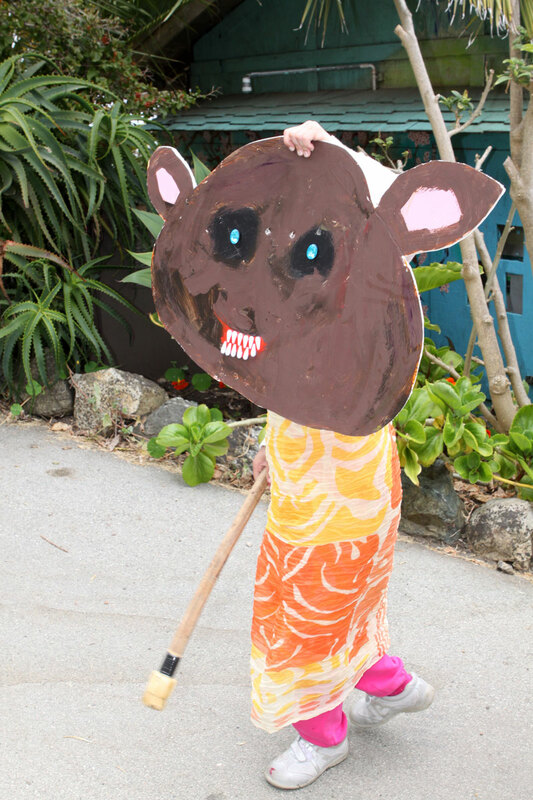 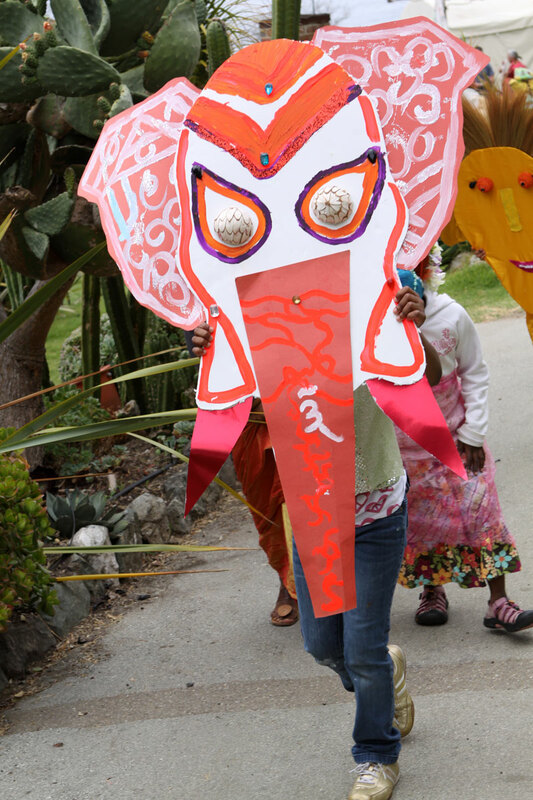 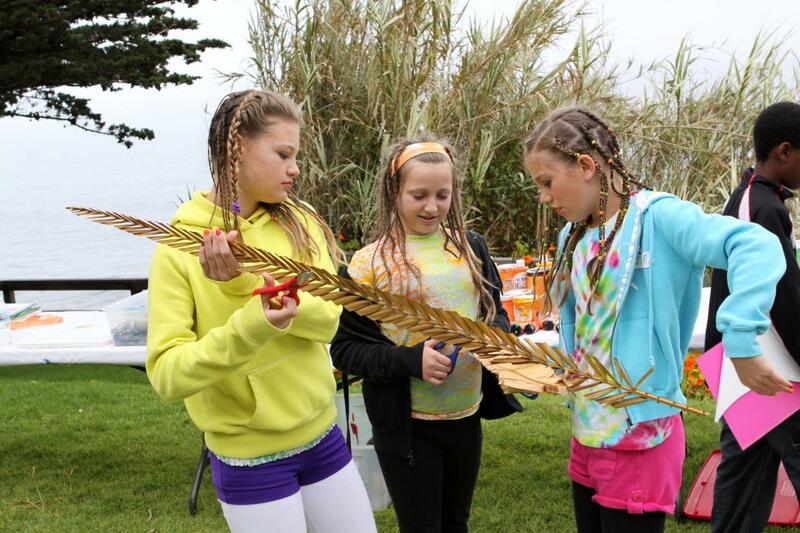 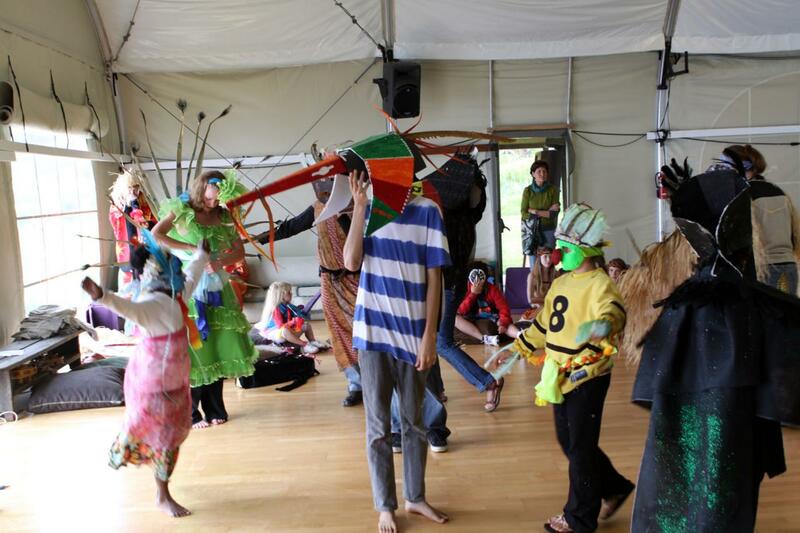 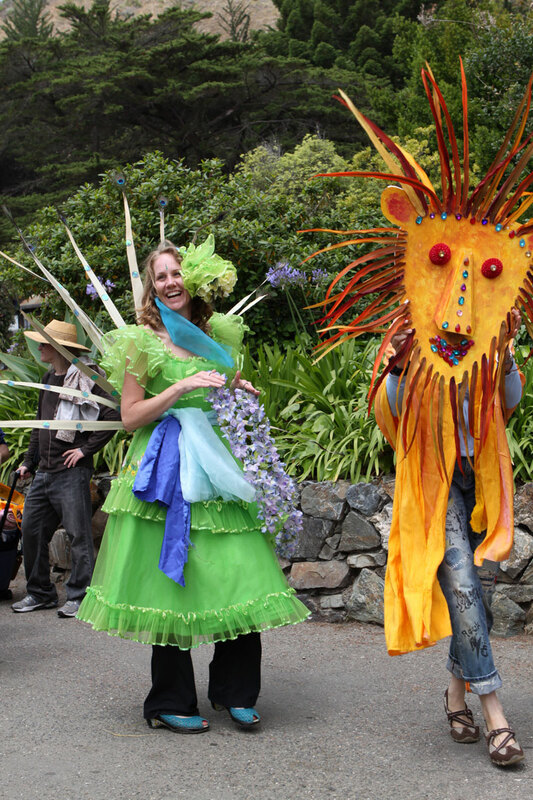 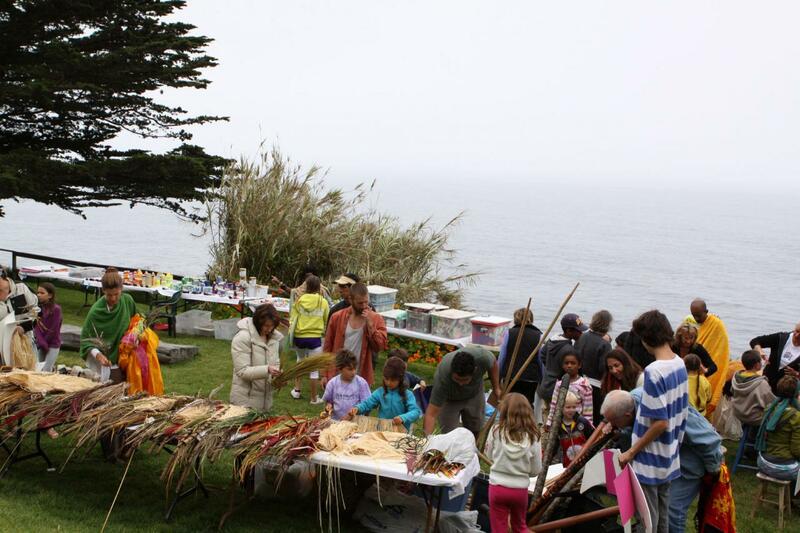 We participated in the "Family Arts Day" on July 3, at the Esalen Institute, in Big Sur, California. 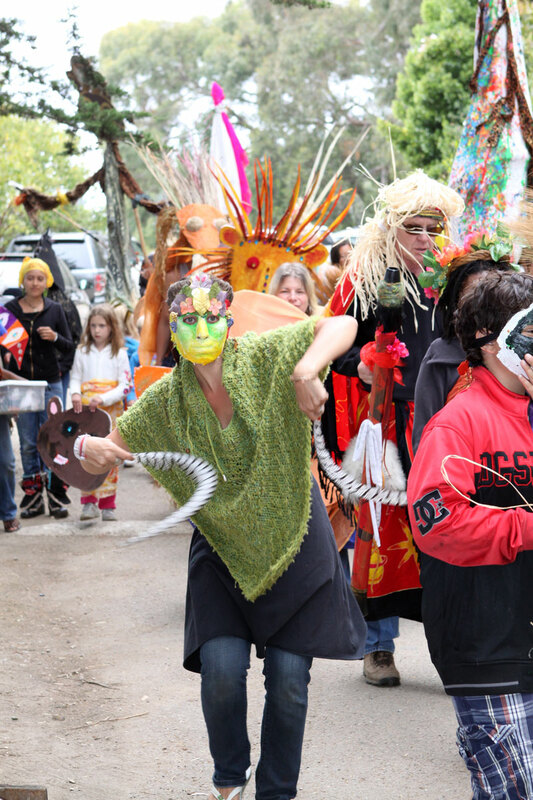 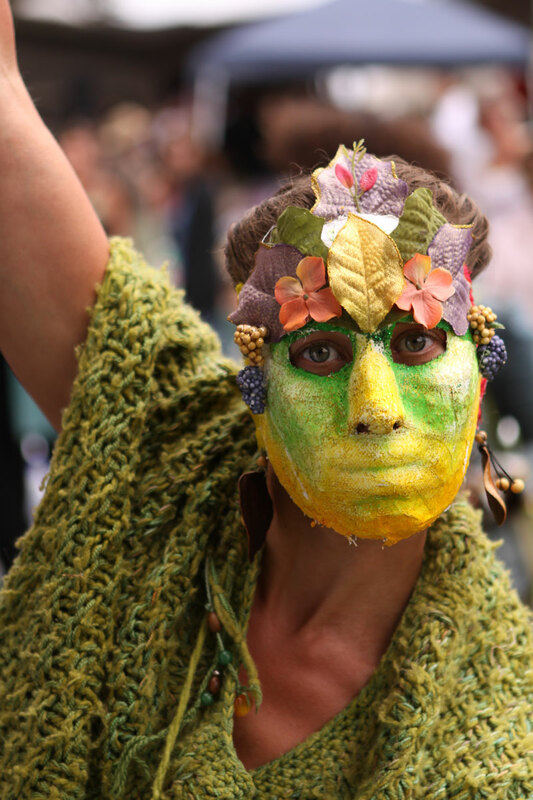 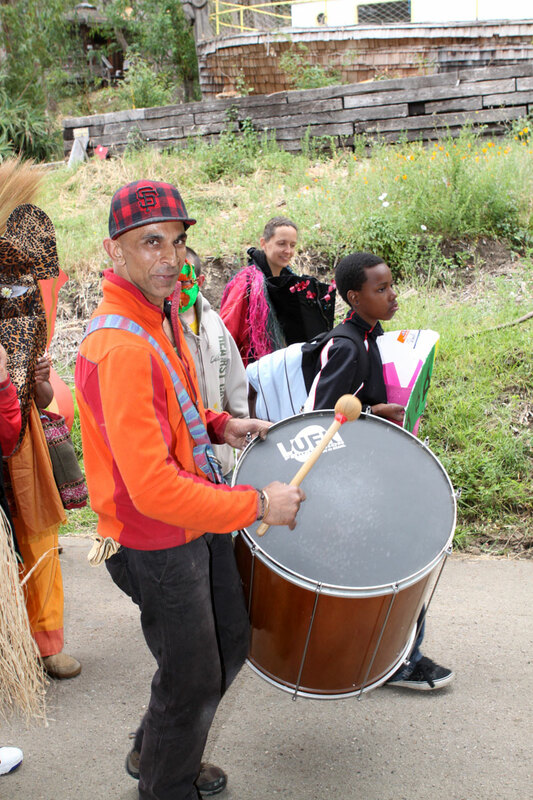 This annual festival, is the inspiration of Jayson Fann, artist-musician-teacher. 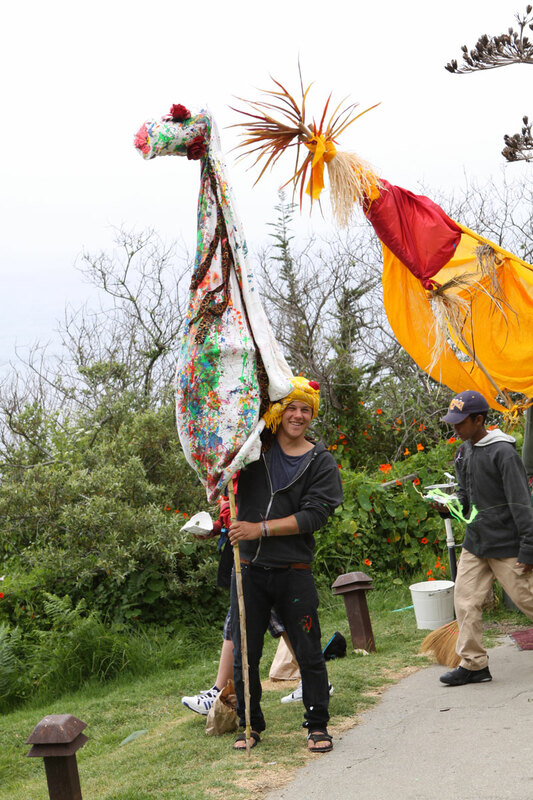 His energy, his hard-work and knowledge and respect for art in all forms, drive this event forward. 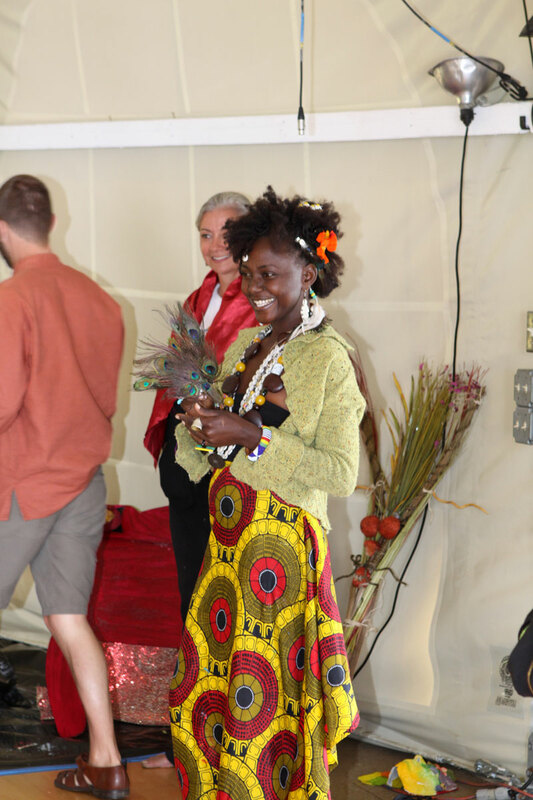 But, the high regard and trust that artists and musicians, world-wide; have for this young man, make this event possible. 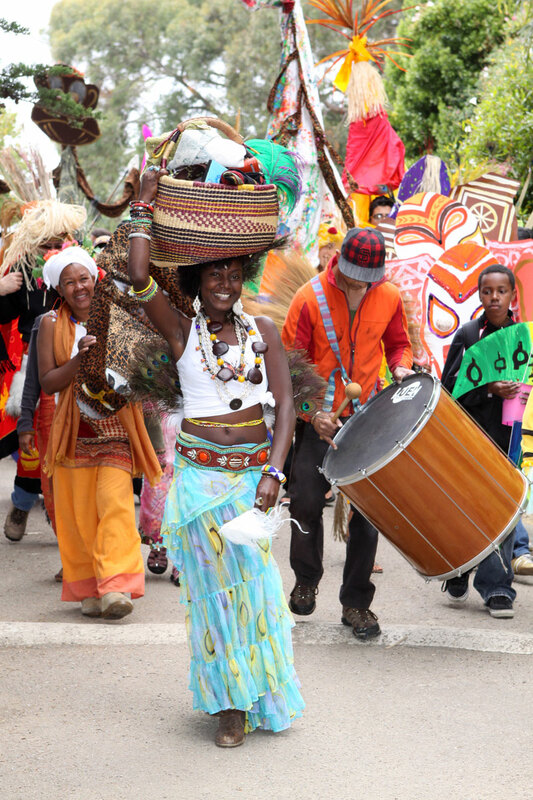 The 3-day festival this year, was offered as a tribute to the great Afro-Cuban jazz percussionist, master of the bata and conga drums, Francisco Aguabella (1925-2010) who was scheduled to perform. 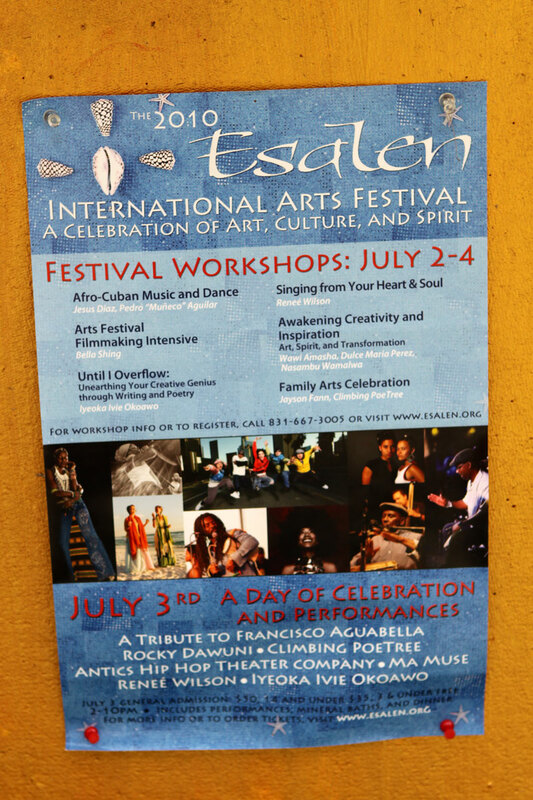 Urban poets, painters, film-makers, sculptors, jazz and neo-soul singers, rappers, L.A. hip-hop dance theater, Afro-Cuban, Kenyan, Nigerian, Zambian and Ghanaian musicians and dancers....met together, ate, laughed and talked... shared ideas, and combined talents for some incredible performances and presentations. 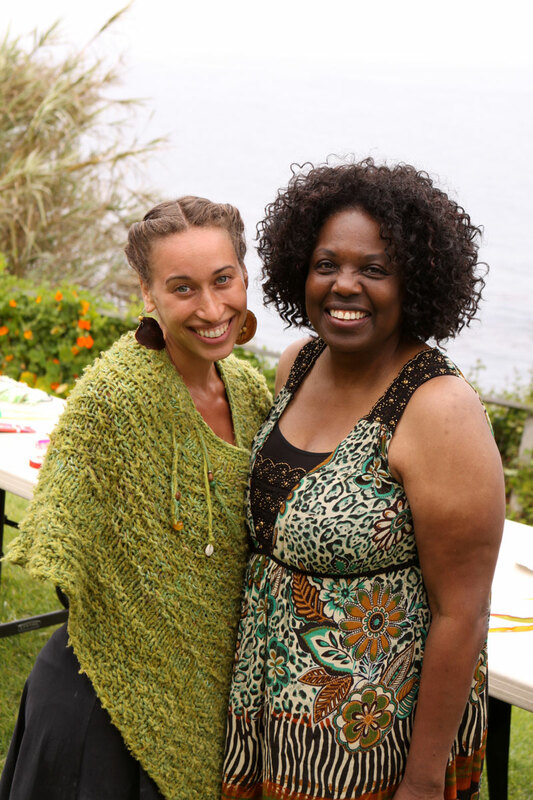 We thank you, for an eye-opening and inspiring experience. 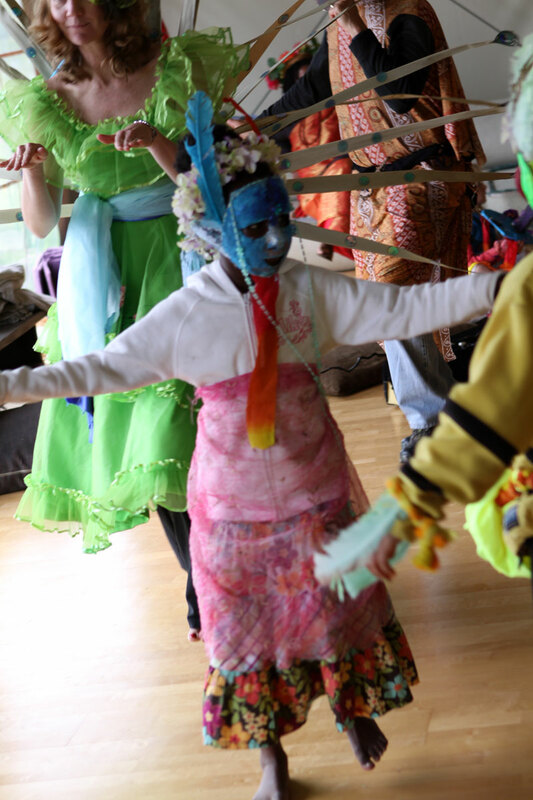 We loved being a part of such magic. 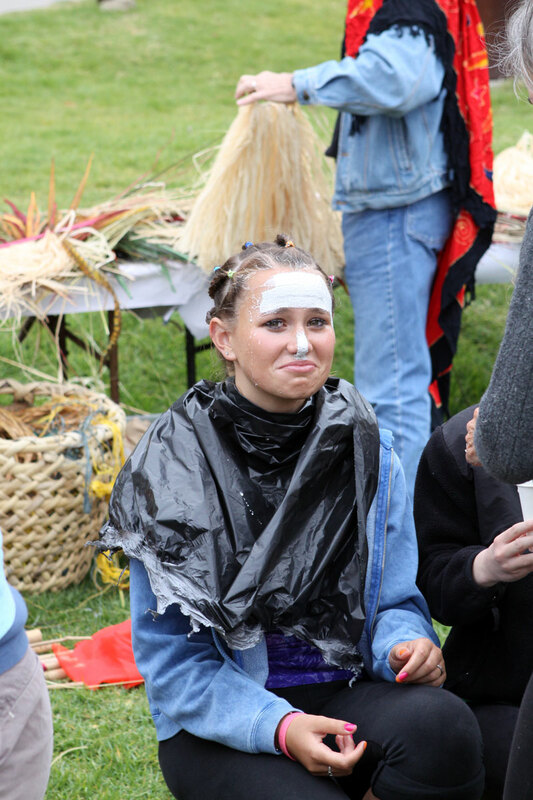 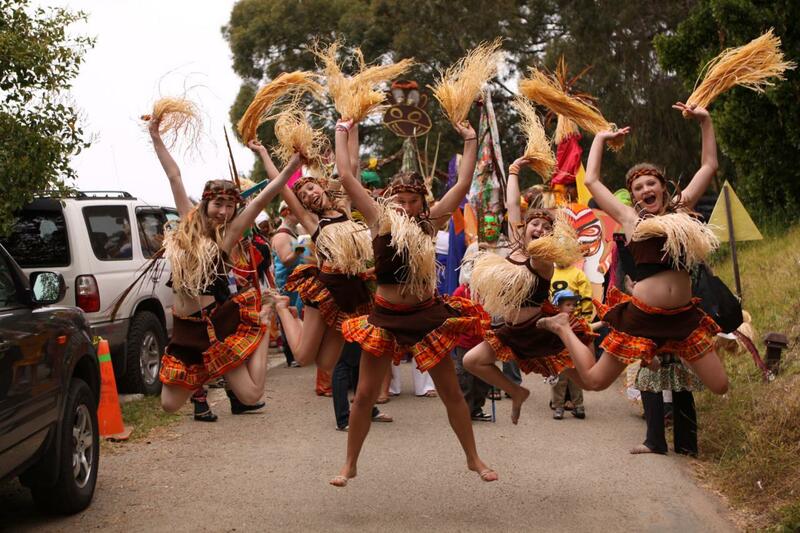 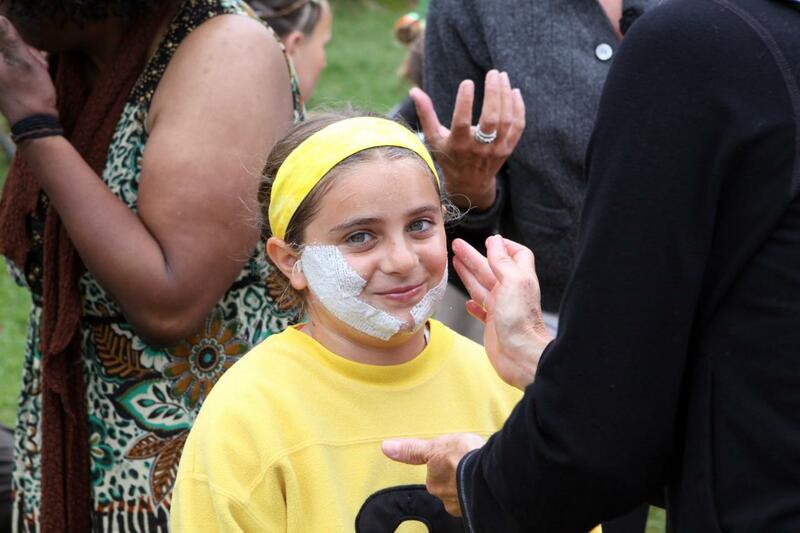 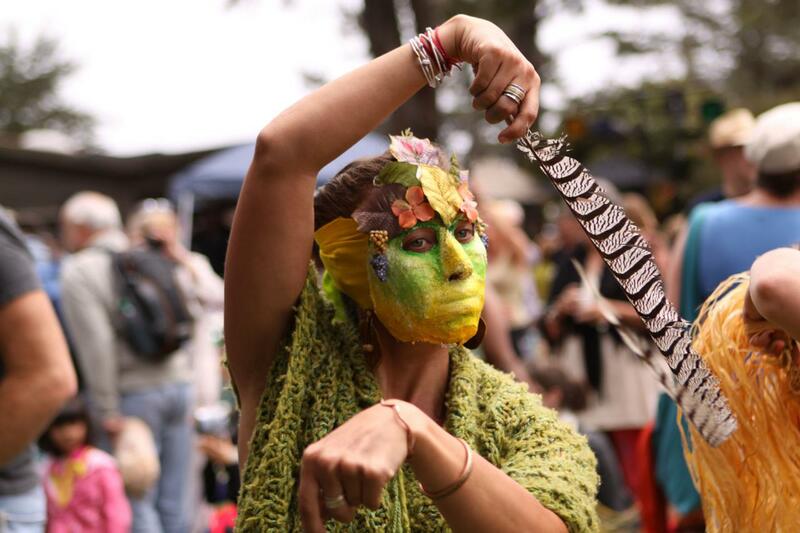 Dan Levy, took some great photos of the Festival. 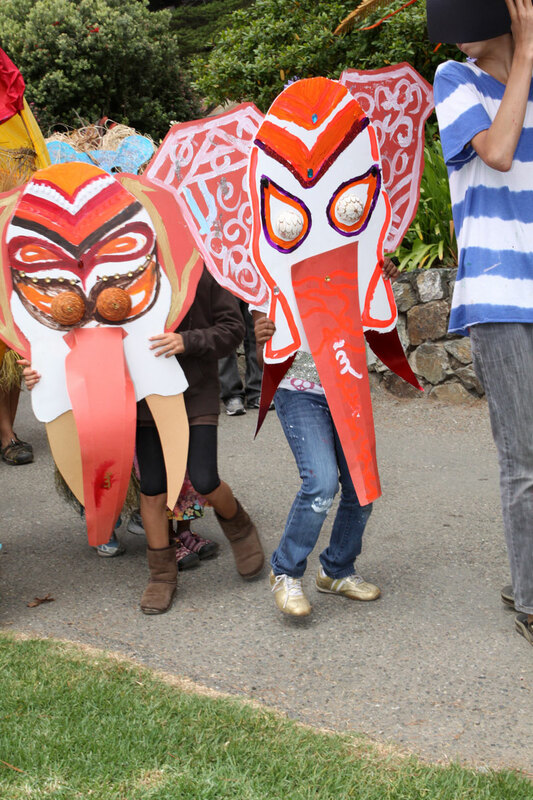 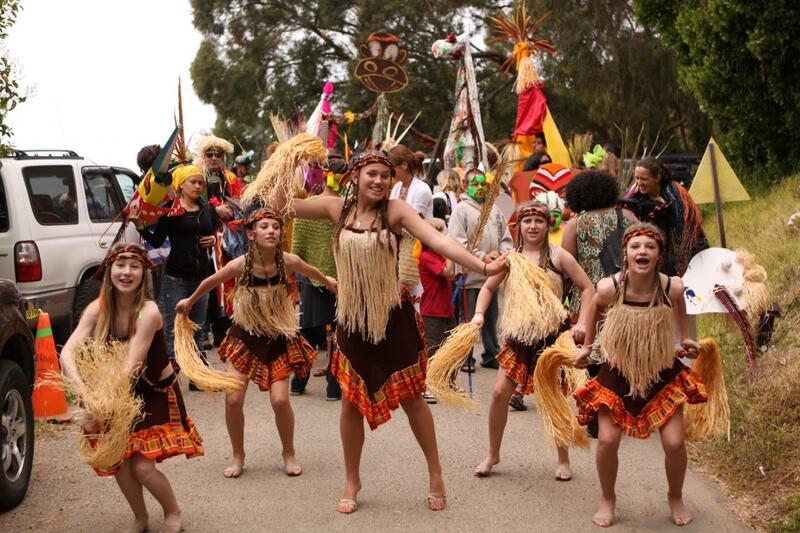 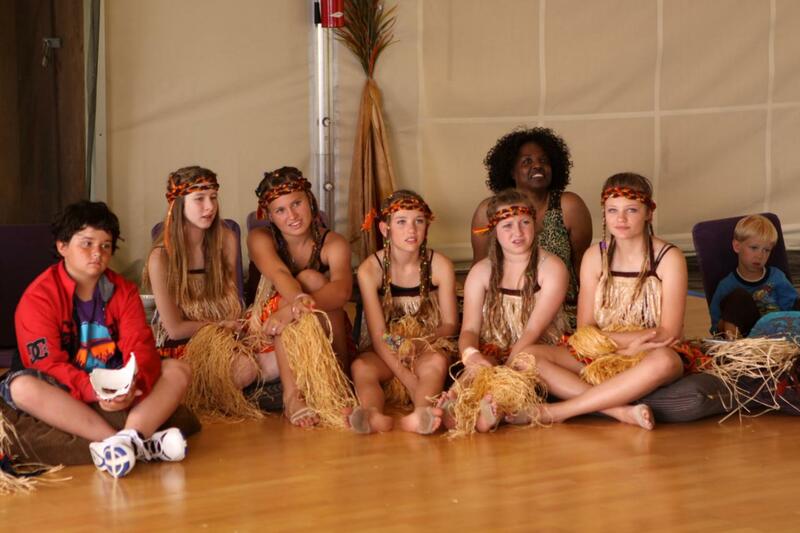 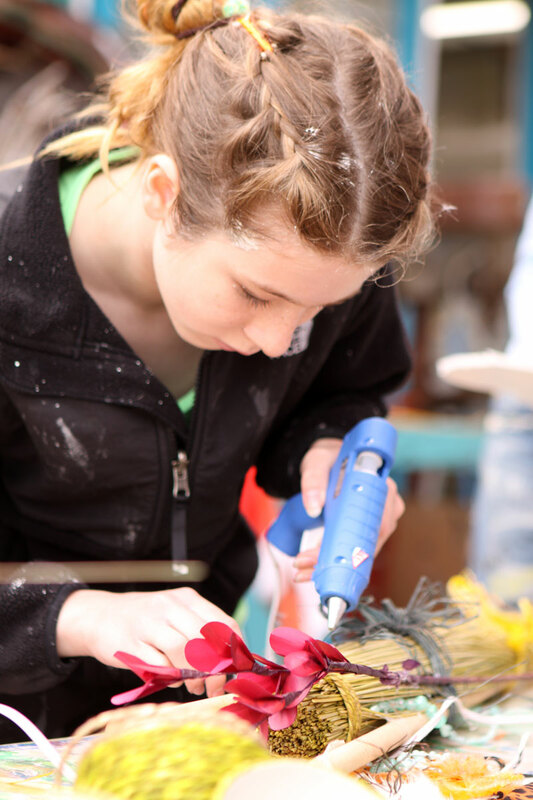 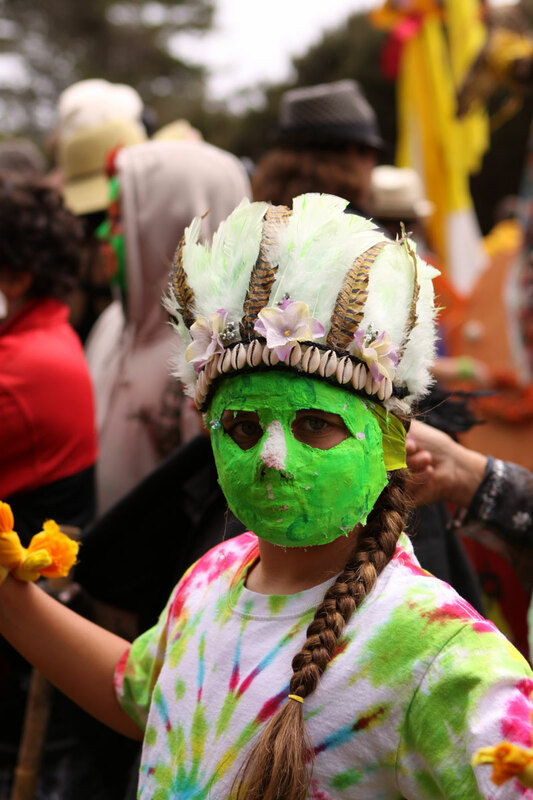 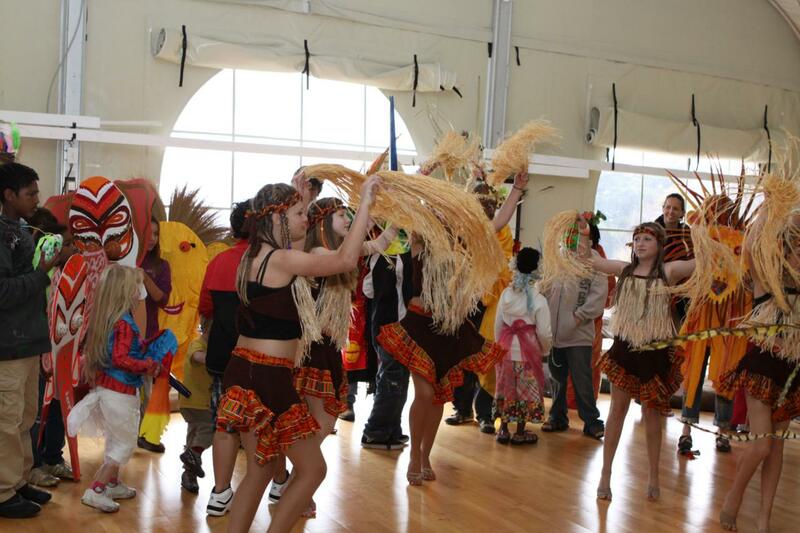 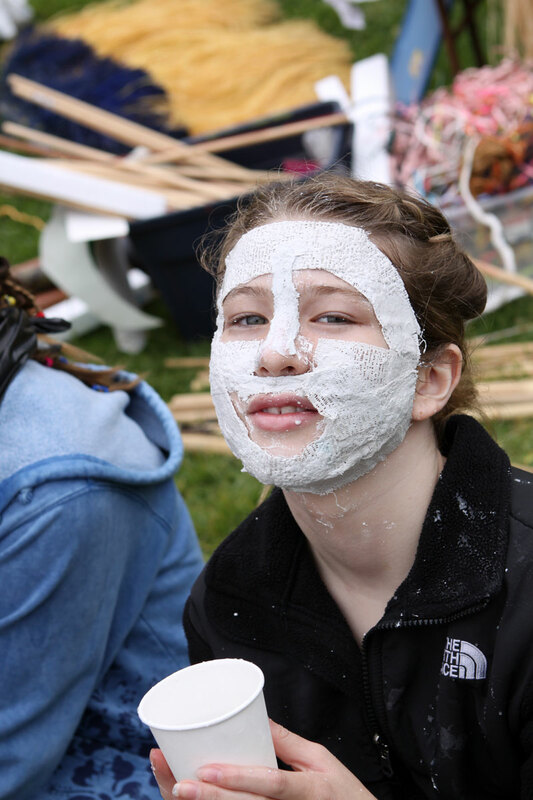 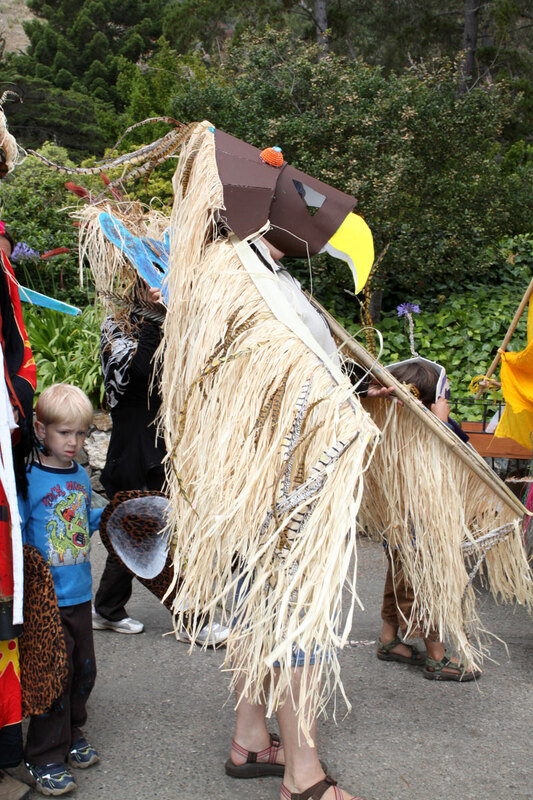 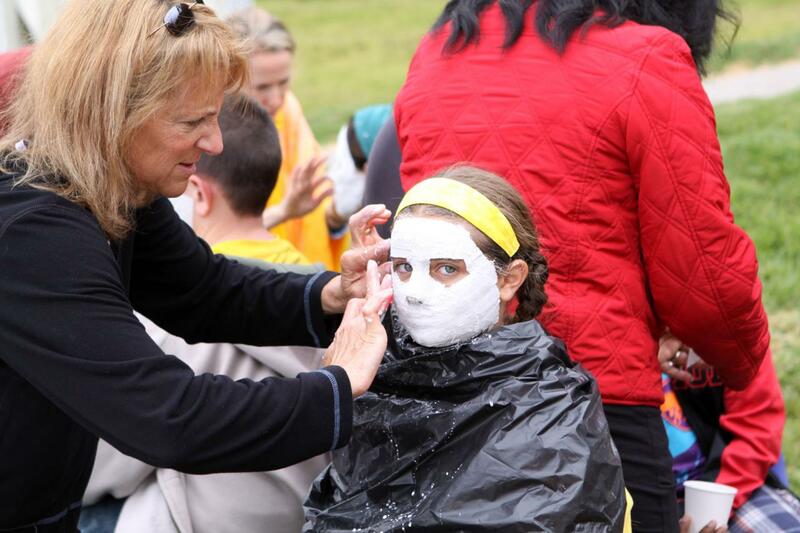 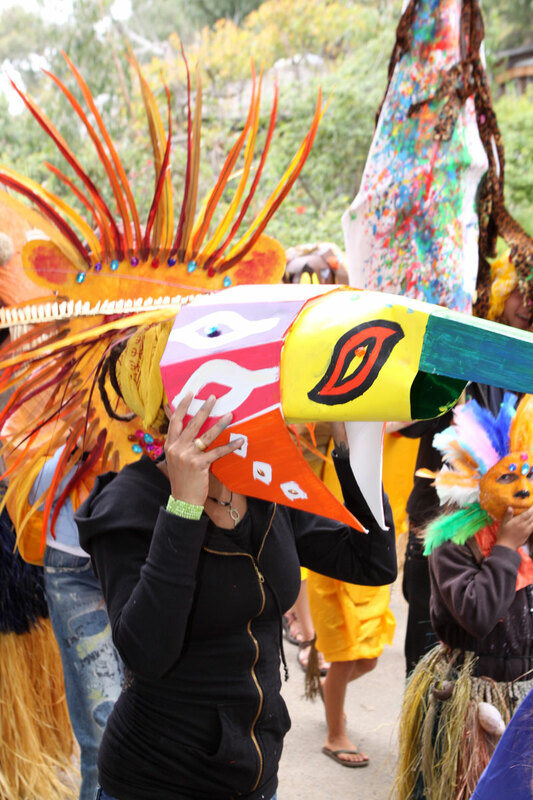 On this page are photos of the "Family Arts Day"
totem and mask making workshop and of the Celebration Parade. 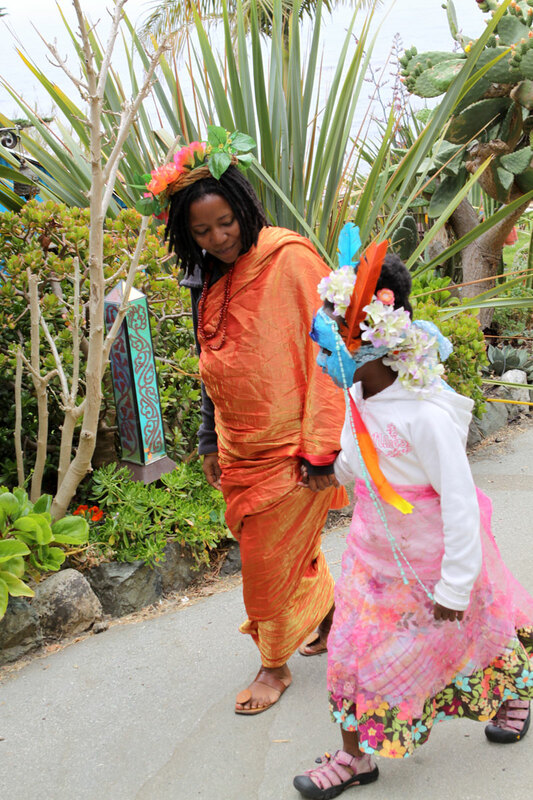 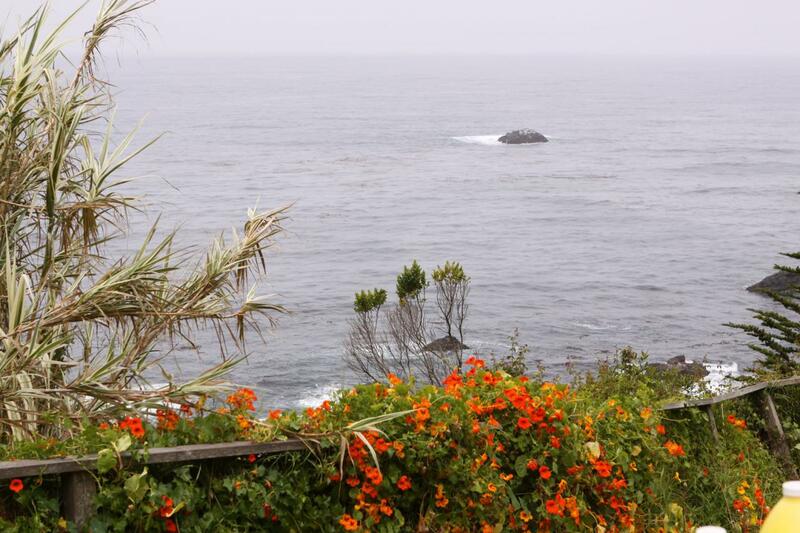 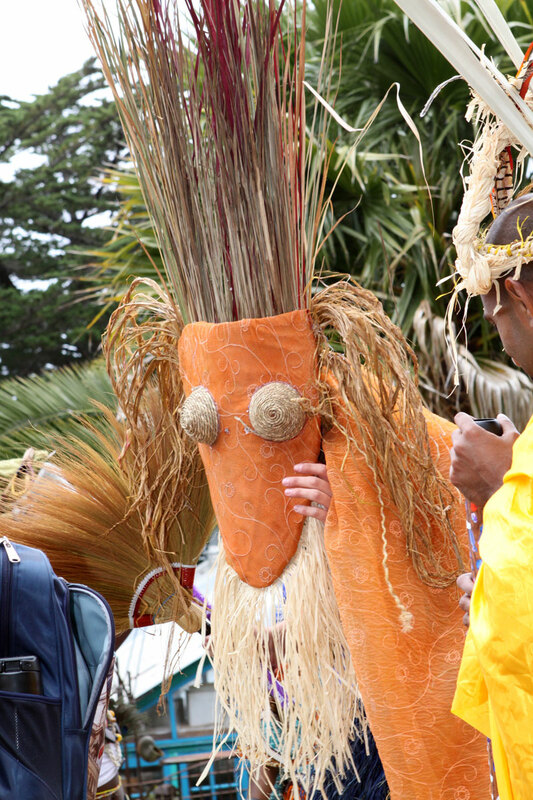 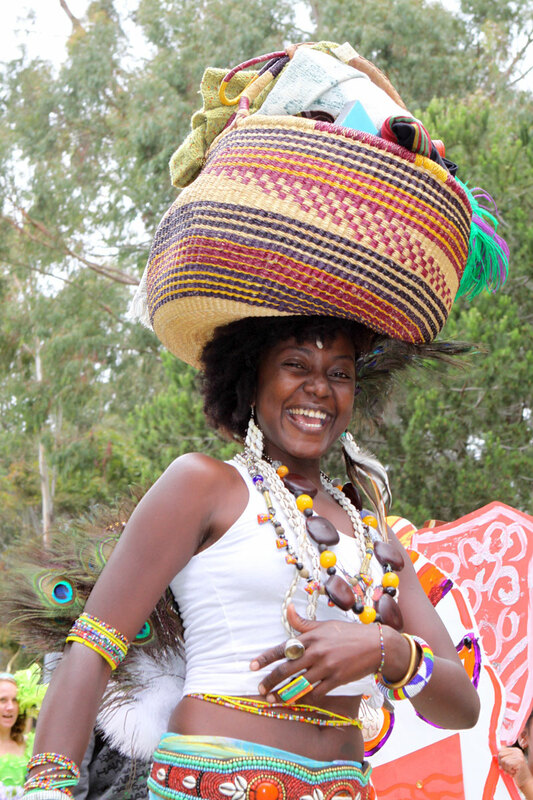 On ESALEN: ADOUMA, another page, are photos of the H.E.A.T. 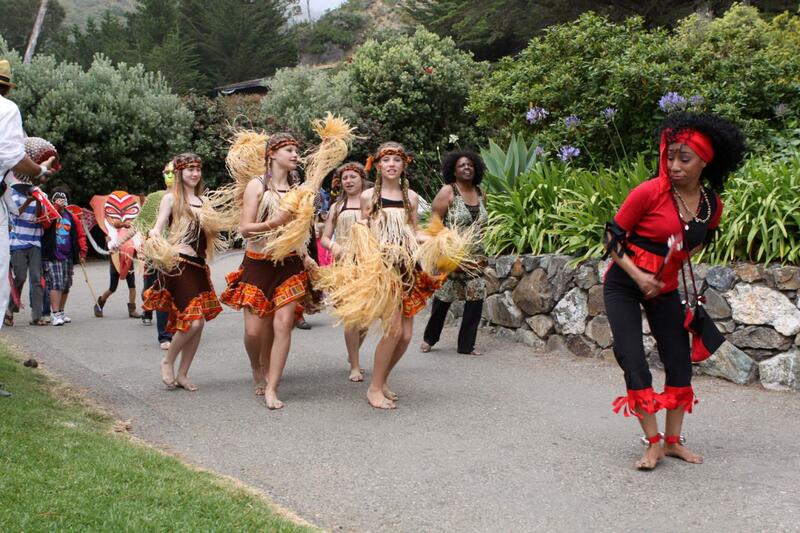 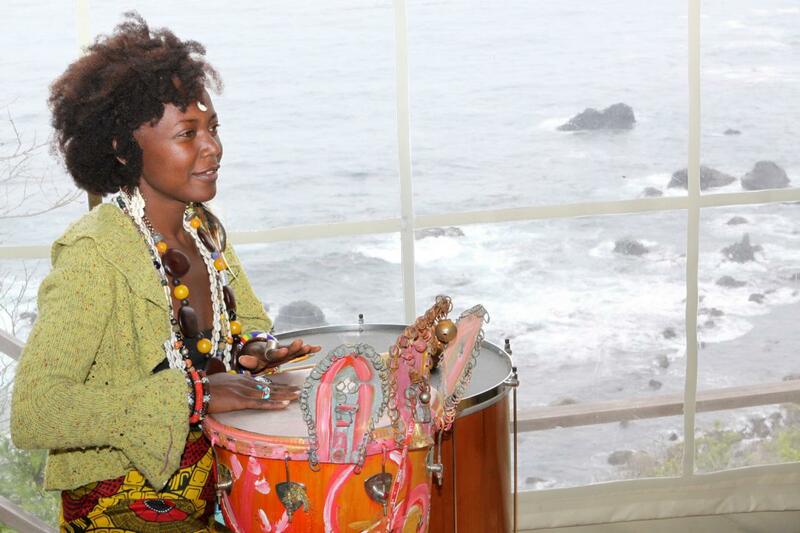 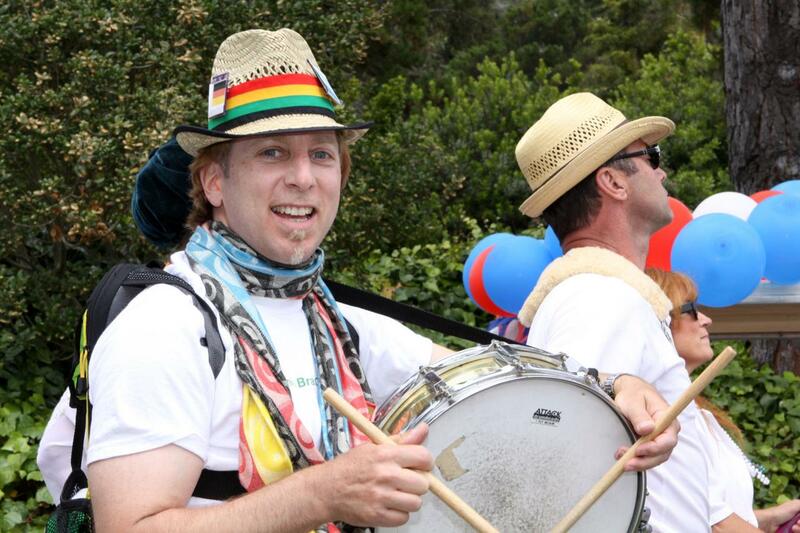 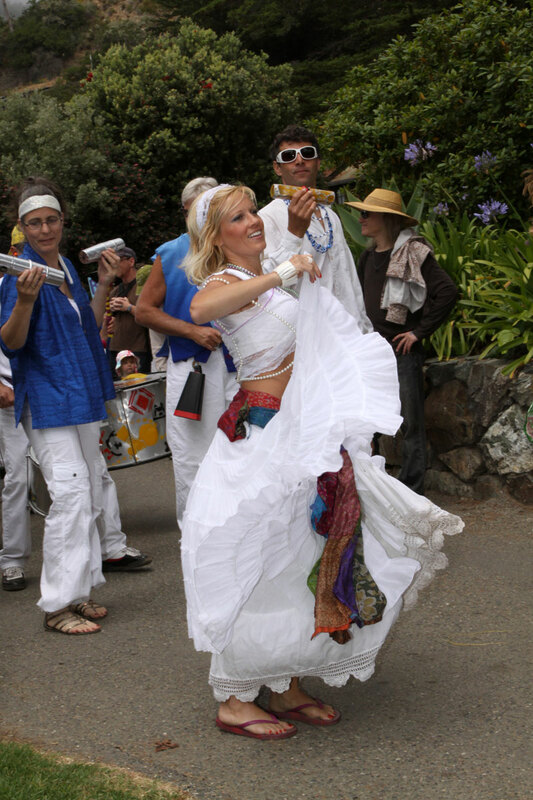 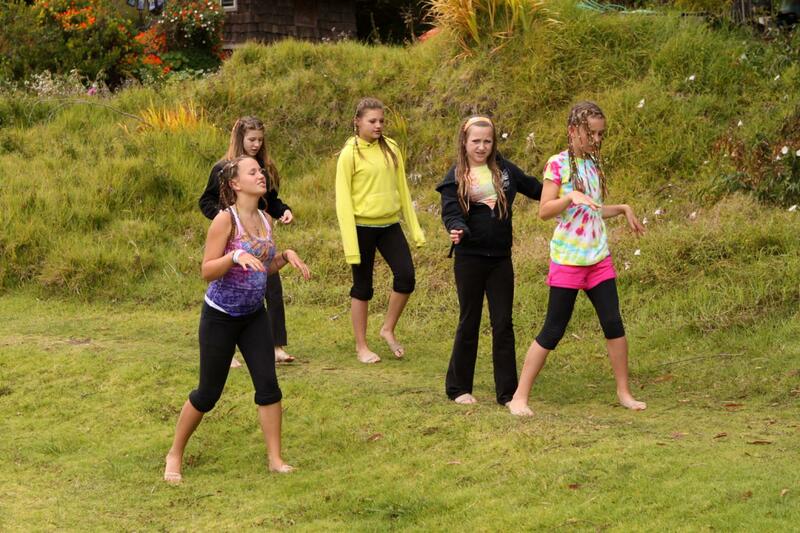 performance at Esalen.